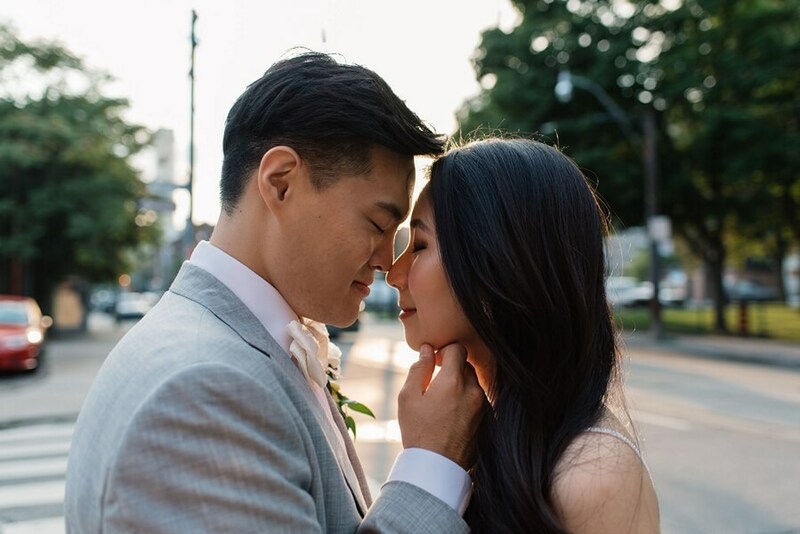 Since the day they met, Frances and John Paul already had a lot in common: they shared many of the same hobbies, they had a similar sense of humour and they even shared the same last name “Kim”! 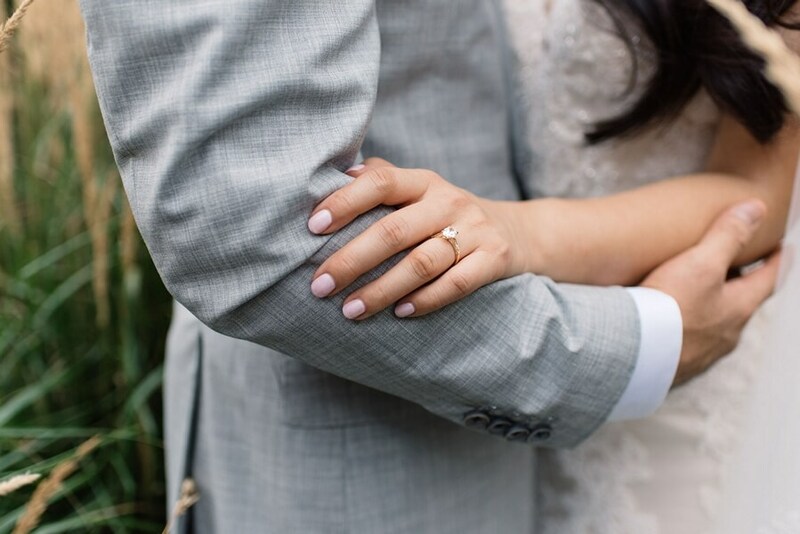 Talk about meant to be! 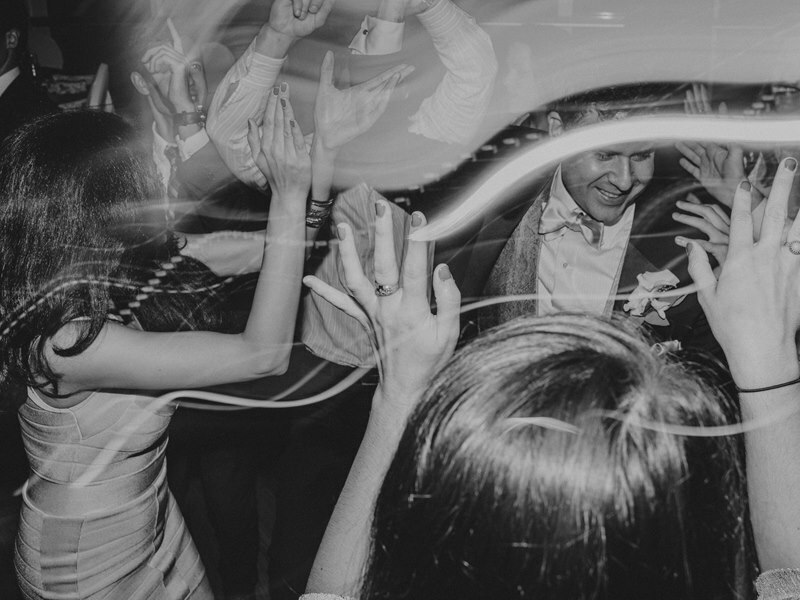 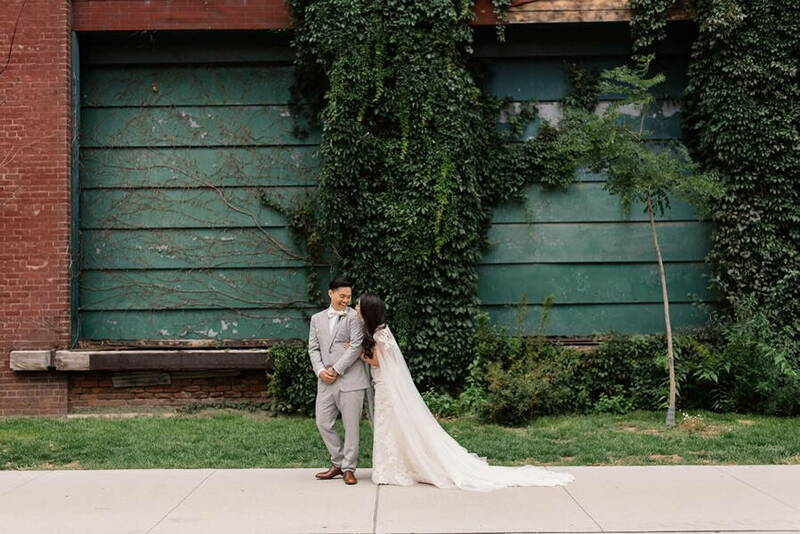 The sweet couple wanted their wedding to feel warm, alive and inviting. 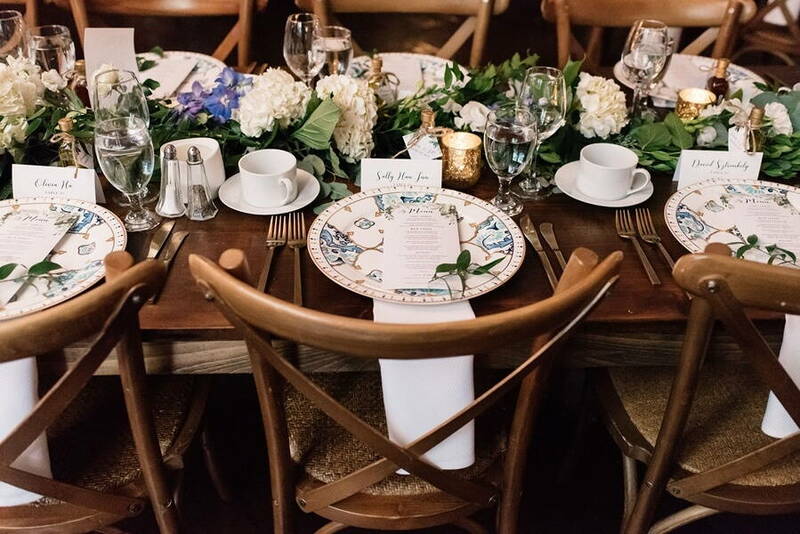 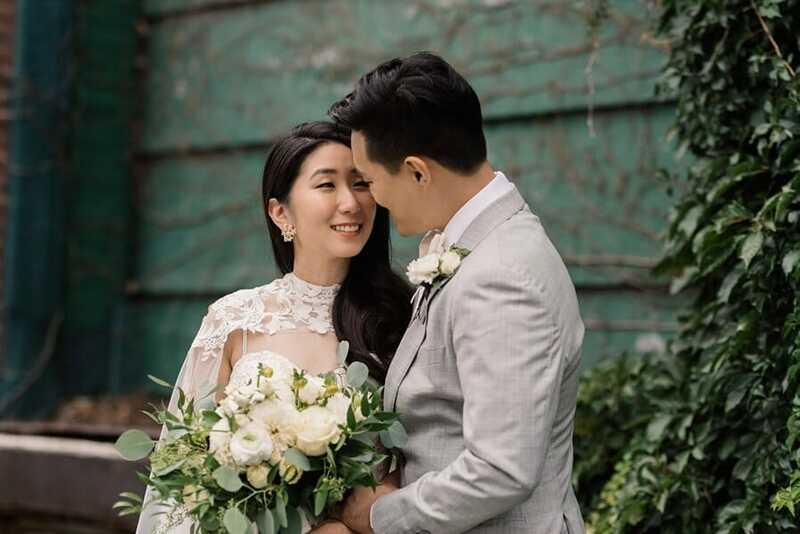 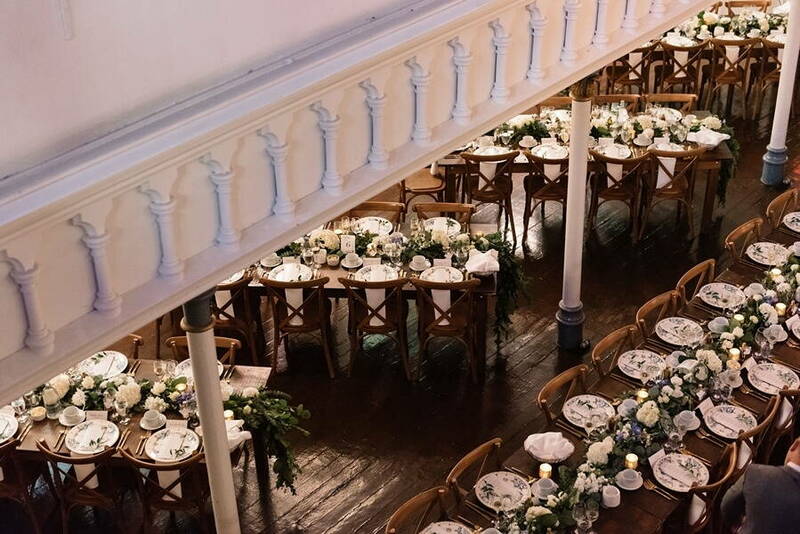 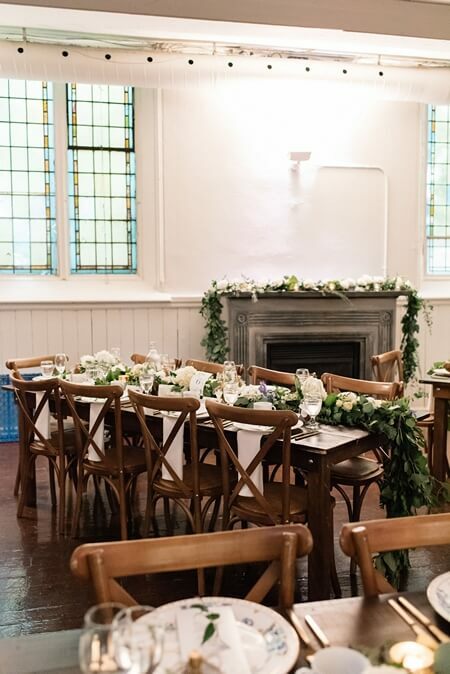 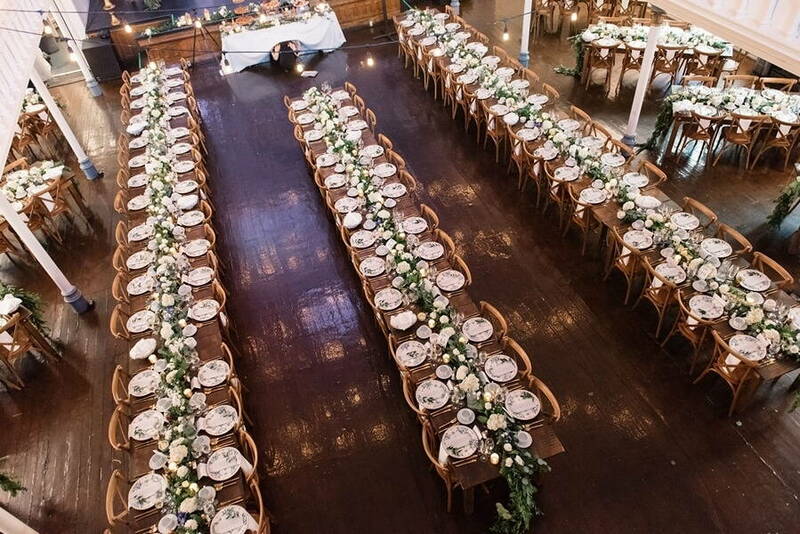 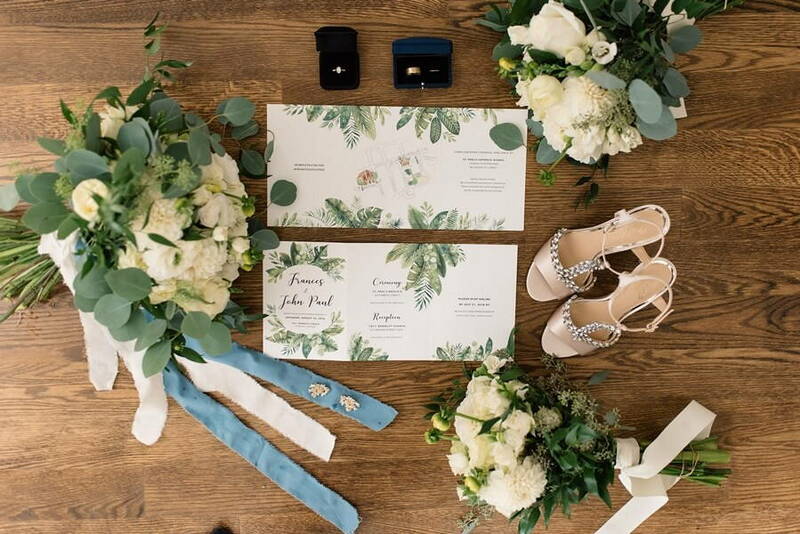 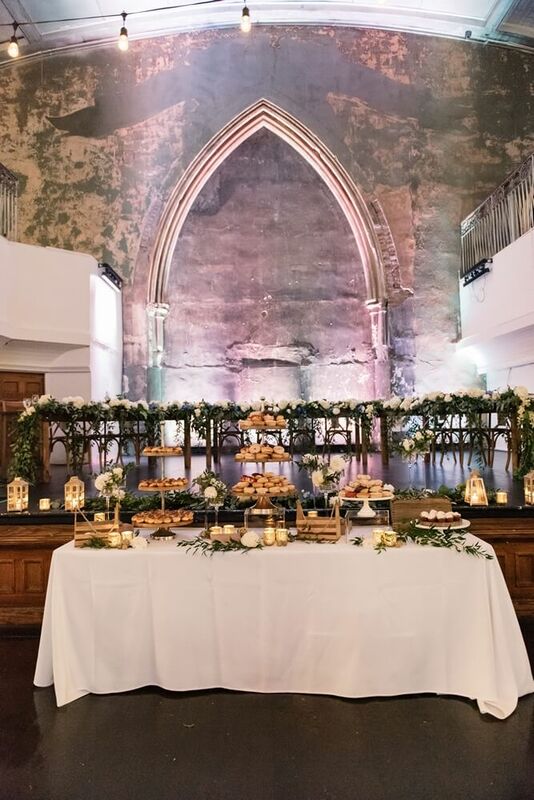 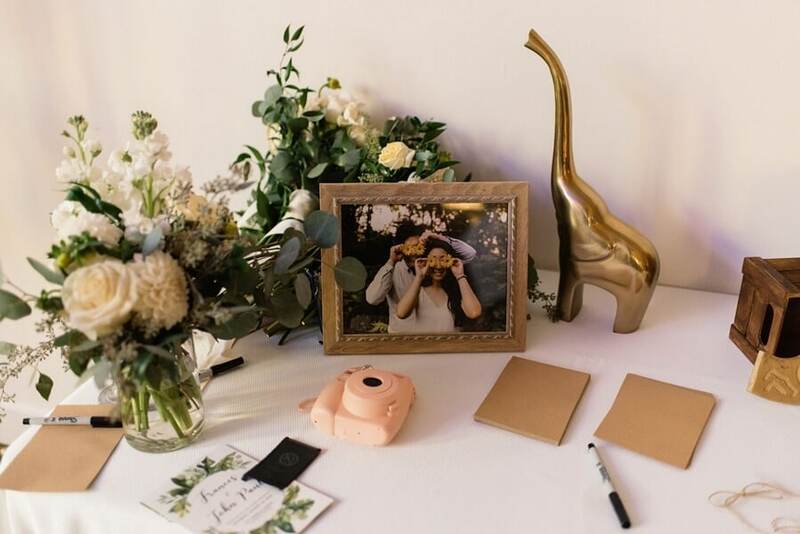 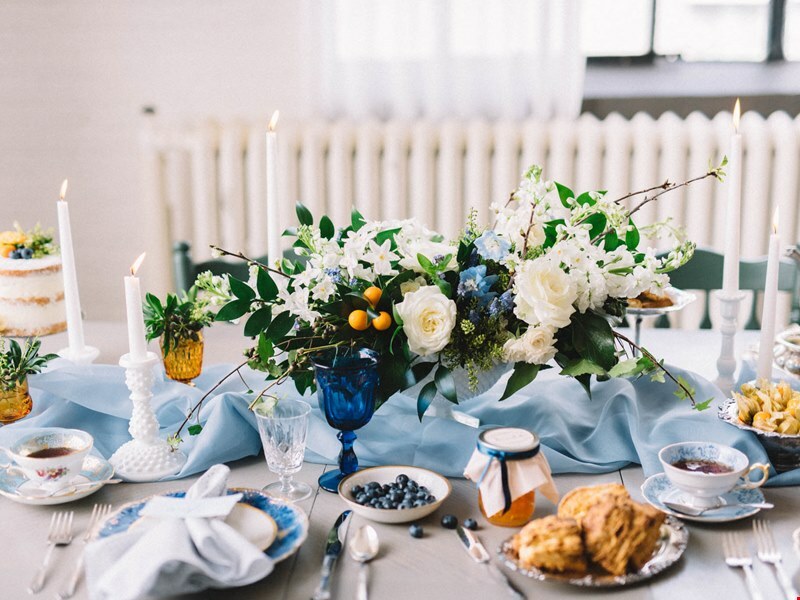 Dukes & Daisies Weddings & Events helped them plan a contemporary wedding at the Berkeley Church & Field House with a rustic theme, infused with lots of greenery. 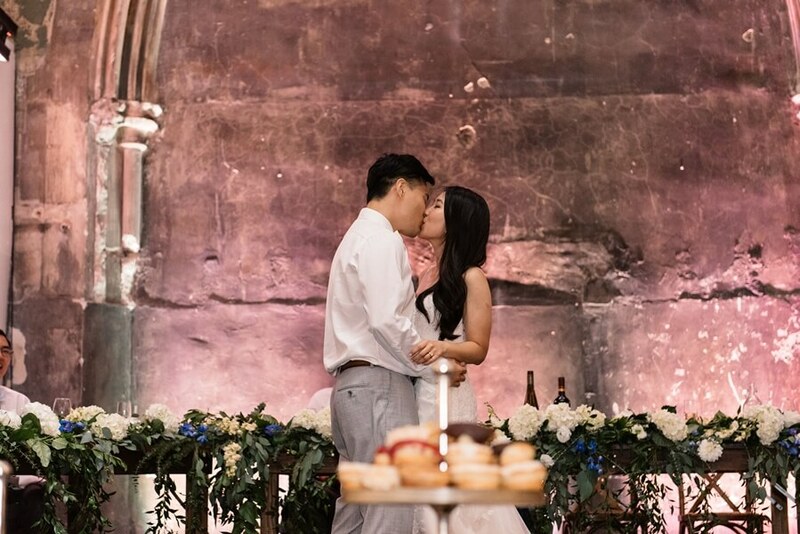 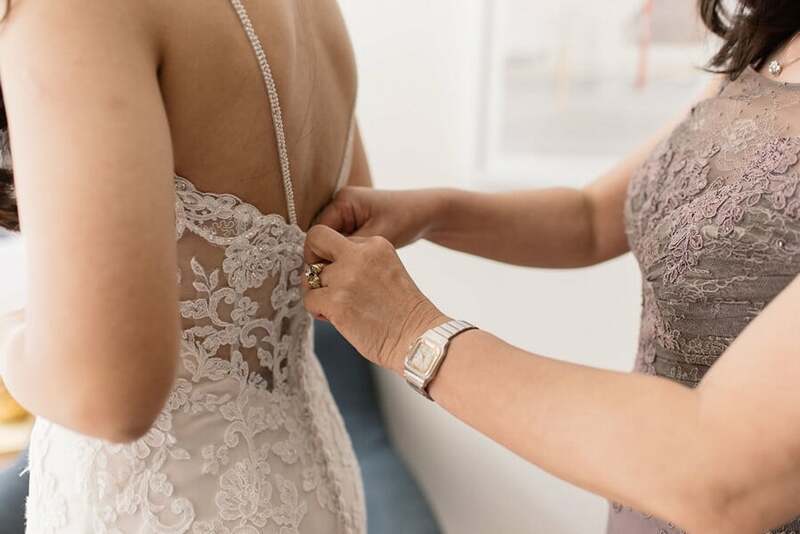 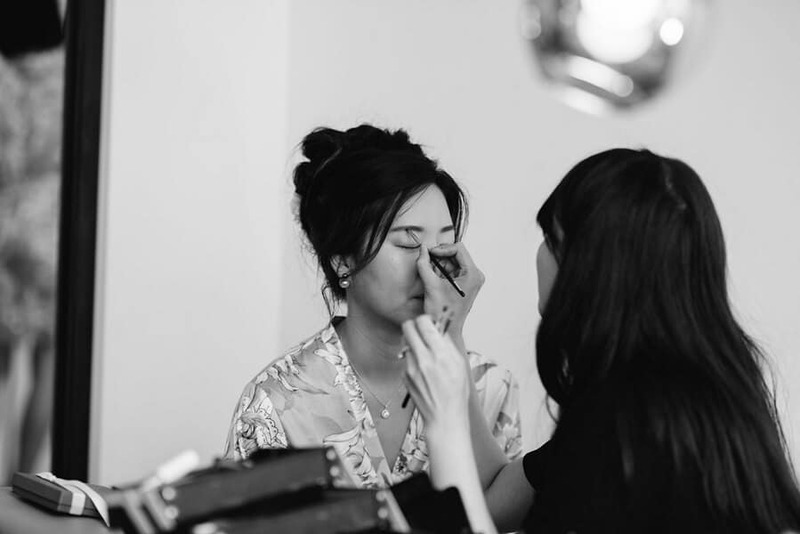 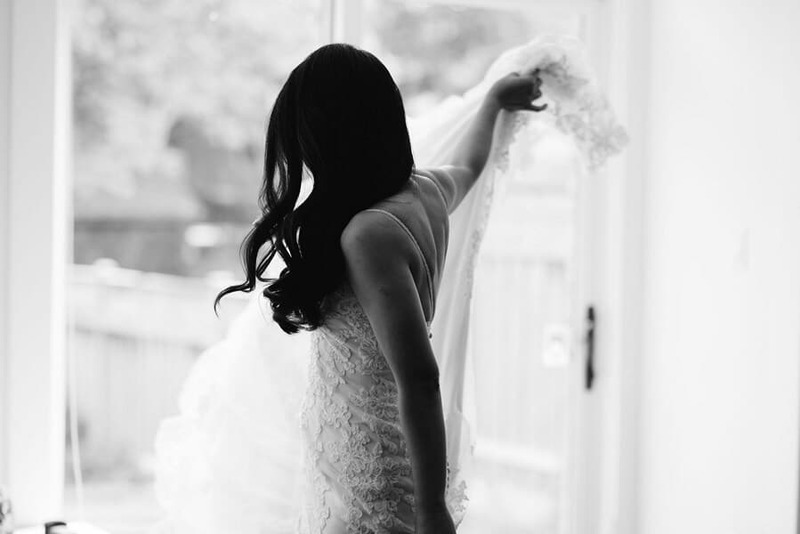 Olive Photography captured the special day. 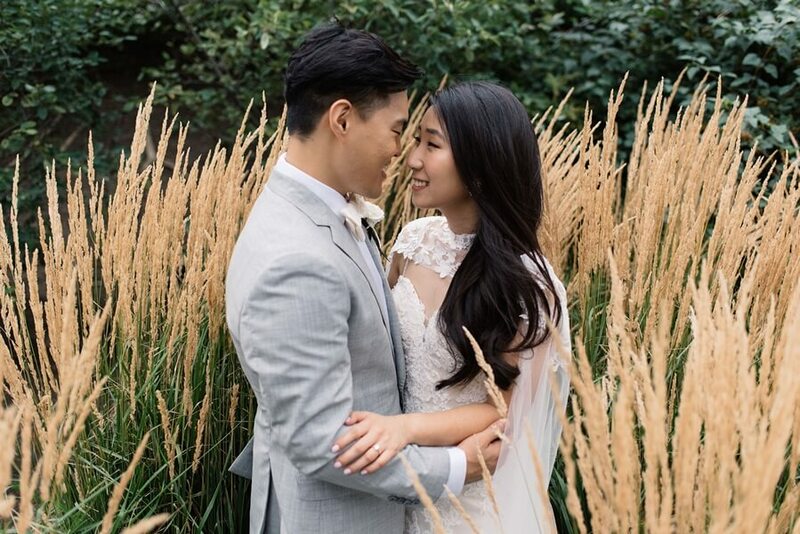 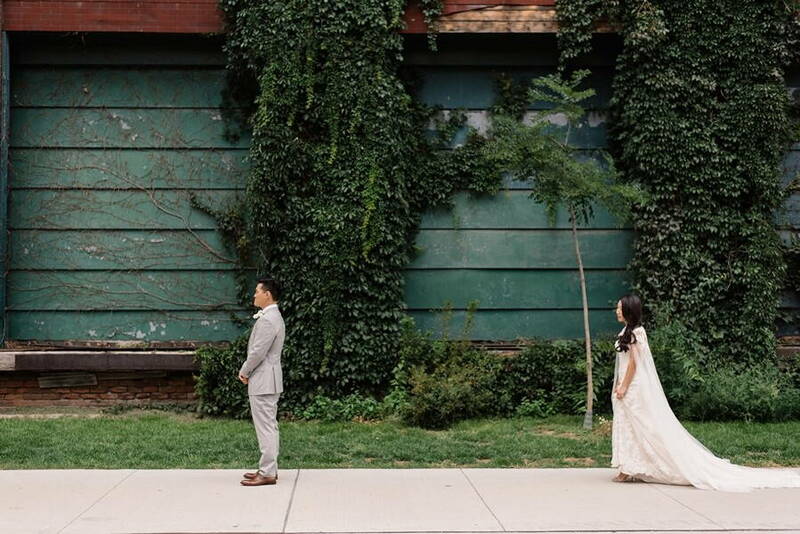 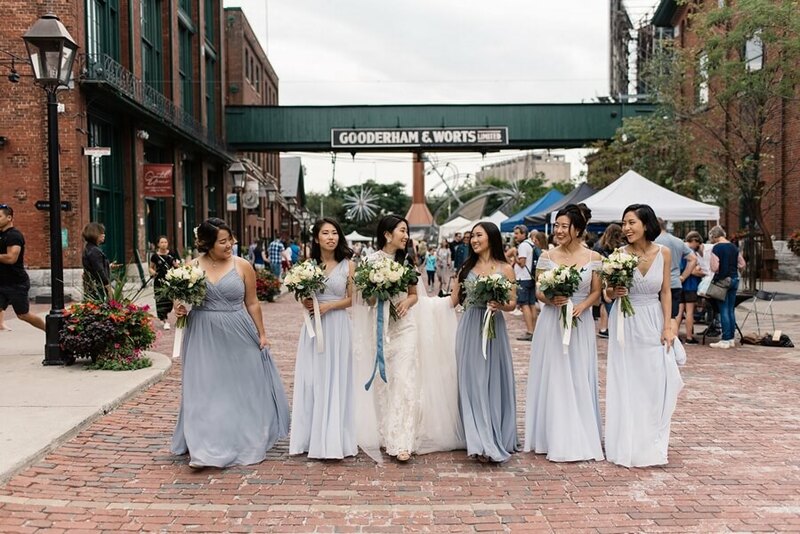 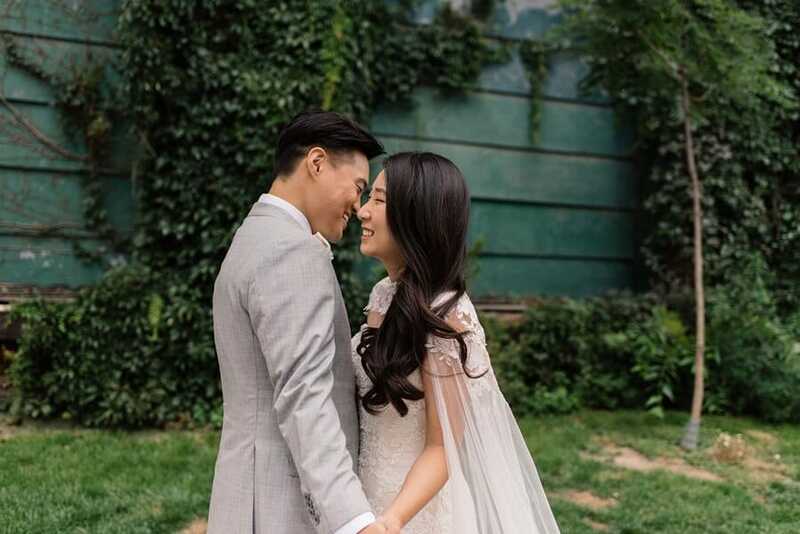 The couple had a wonderful photo shoot all around the city: in the Distillery District, next to green ivy, amongst tall grasses, and even in front of Kim’s Convenience! 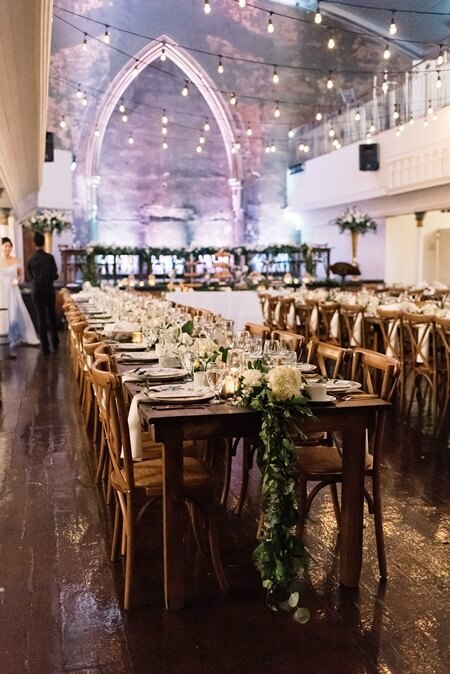 Frances and John Paul started the evening sharing drinks and appetizers with guests on the mezzanine of their venue. 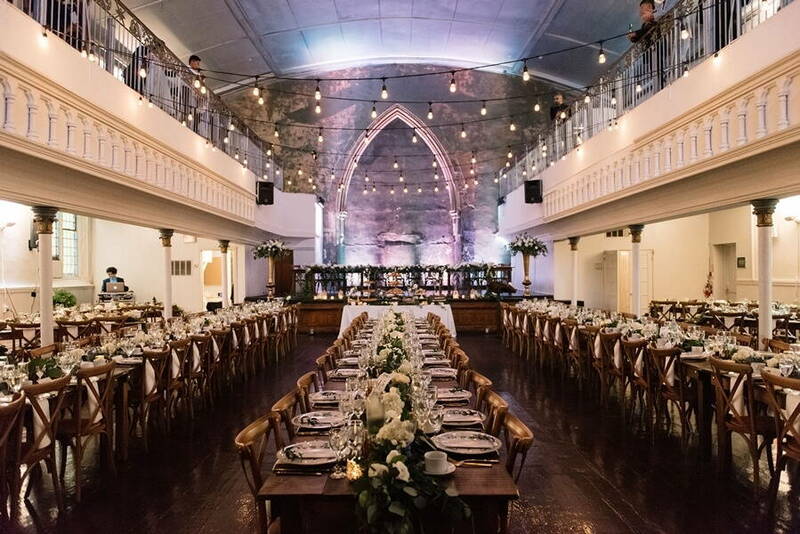 Strings of small bulbs hung from the balcony, lighting the tables and the beautiful reception below. 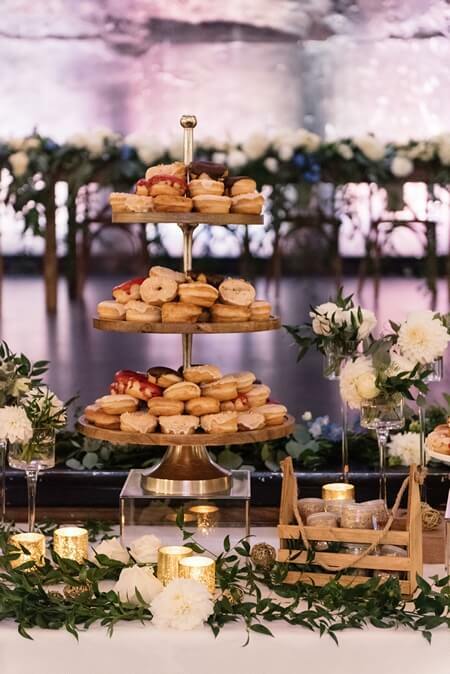 The ballroom was lined with rows of long chestnut tables set with gold jars lit up by tea lights, and creamy, white centerpiece garlands designed by Bloom Plus. 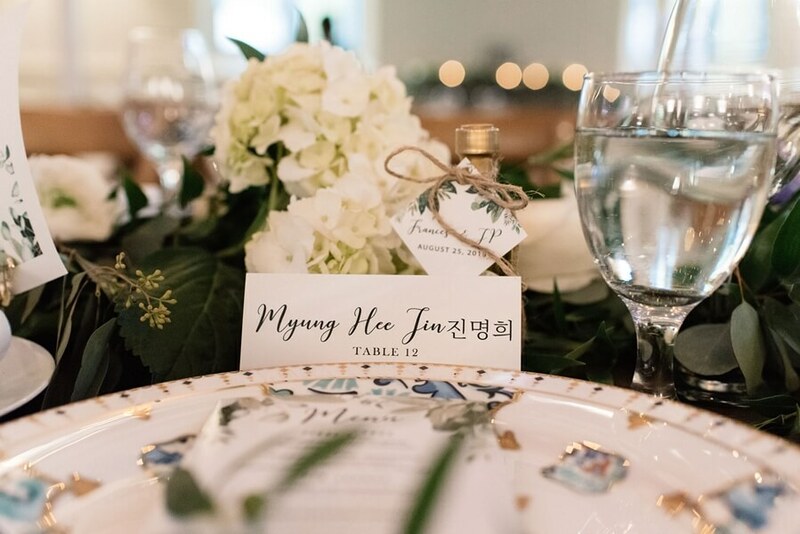 Next, the couple and guests took their seats as dinner was served on fine, white, gold and blue plates provided by Plate Occasions. 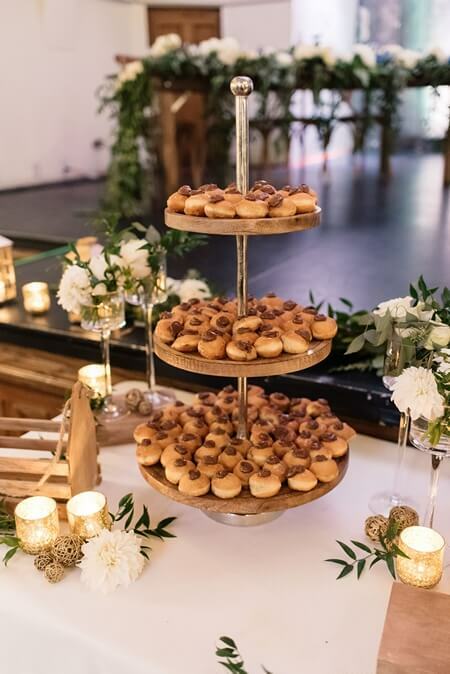 After a series of delicious dishes, and a few short speeches, guests mingled while snacking on decadent little desserts. 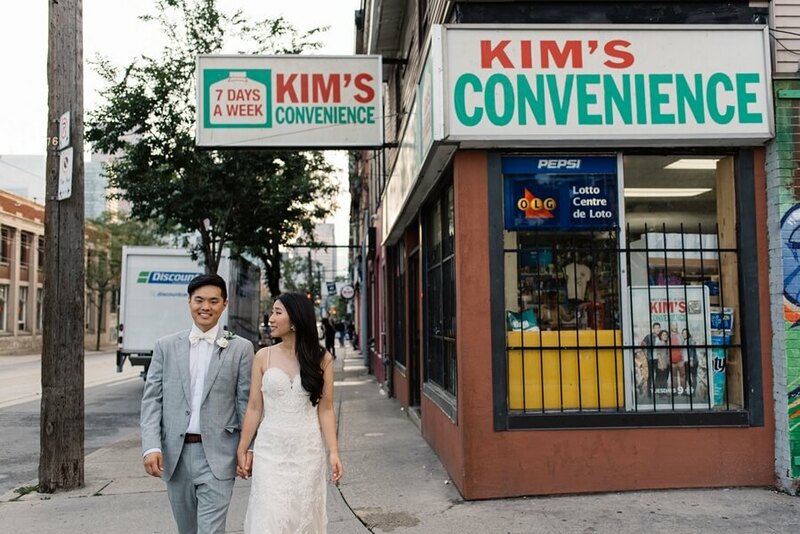 Everyone was happy to celebrate the special day with newly married Kims!